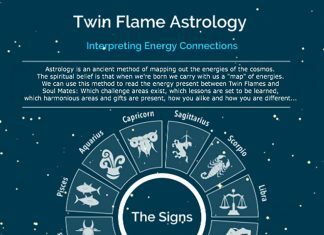 I’m often asked whether there are signs and ways to know whether you are close to reuniting with your Twin Flame. As always thank you to everyone who writes to me, I appreciate so much you sharing your stories and opening up but unfortunately so many Twin Flames contact me that I’m unable to answer everyone personally. If you’re struggling right now, please don’t give up – I’ve seen things change dramatically for the better for so many! If you haven’t already, please go ahead and download my Free Twin Flame Help Kit and get started with the energy cleanse kit, as this will cleanse your chakras and uplift your energy almost immediately. You will feel a shift for the better, and it helps to open up your Twin Flame connection to harmony again. A (sometimes subtle) feeling of excitement in your soul, a glowing feeling in your heart chakra. You will most likely be puzzled as to why you’re feeling so happy, as there’s no obvious outer event causing it (yet). What’s happening is that your soul is sensing that you and your Twin are pulling each other closer into Reunion. This feeling is a precursor to the actual physical event. Your soul is always in tune with what you’re aligning with – so “listen” to it, keep paying attention to your intuition. You encounter your Twin Flame in love as souls and interact harmoniously with them in meditation, on the spiritual/astral planes. You can begin practicing this right away as it helps to connect regularly. 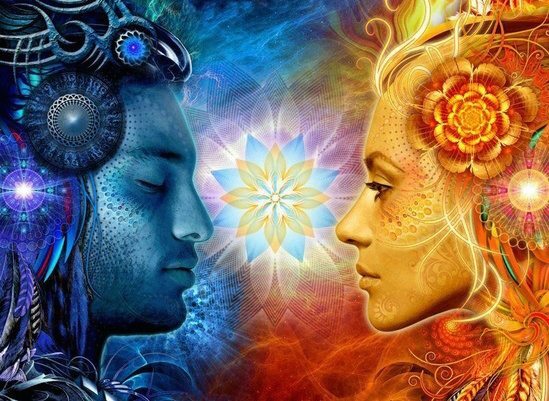 Interacting with your Twin Flame on the soul planes helps usher in a Reunion in the physical, strengthens and harmonizes your soul bond and attracts you to each other in the “real world”. You can do this with my free guided meditation to connect with your Twin Flame’s soul here. The Twin Flame Code being shown up repeatedly – especially after a period of absence. This code is used for significant periods – as an alert that something important is happening or about to happen. First, as an awakening code, then for important transitions and Reunion. Have a look here for a full explanation of 11:11 and what it means at different stages of the Twin Flame journey. Feeling pulled toward certain places at certain times, as if someone or something is trying to nudge you to go there. This is your soul and your guides working to get you and your Twin to “bump into” one another in life, to meet by “accident”, to be in the same place at the same time. To orchestrate Twin Flame Reunion. If you feel a glowing sense of excitement about going somewhere at a certain time or seeing a certain person, this is your soul and your guidance talking to you! Always check inside to make sure – it should be a happy, positive feeling (not a panic about missing out). Paradoxically, a feeling of general happiness and not really caring that much about whether you reunite or not is an indication that your vibration has risen and that you are in a new state of wholeness within. This puts you into a match with the outer wholeness you desire with your Twin Flame. You have a feeling of completion and inner peace. You feel no need to look to others to solve your problems or “save you”. This inner state of wholeness mirrors into outer harmony. To help more Twins step into inner wholeness and embody the core templates of self love to ensure harmonious reunions, spirit recently had me channel a brand new energy transformation journey that goes deep into reconfiguring the heart’s blueprints and opening up the soul bond between the Twins again. Have a look here for more. Dreams and meditations where you and your Twin are harmoniously interacting. A feeling of peace and love. A sense of everything being OK, that you’re standing on solid ground in the relationship. Feeling the core love in your connection and knowing that any outer difficulties are simply “illusions”. To help you focus on love and see past any previous problems, you might find this helpful: A Message For You From Your Twin Flame’s Soul. The symbol of a pair of white swans is a classic indicator of Twin Flame Union and reuniting. Sometimes I’m shown in dreams or meditations, groups of white swans flying or landing to symbolize the collective energies shifting and certain Twins’ souls initiating union. It’s highly likely that you and your Twin Flame also have a “totem animal” for your journey – lions, wolves, deer, dolphins or some other animal spirit – to see pairs of these is a good “omen” for reuniting. However, symbols and images are positive indications yet won’t be the “full story” (read more about how to interpret symbols and signs on the Twin Flame path here). Again, check how the energies are. Do you feel good about your Twin Flame? Feeling good and happy regarding your situation is the key indicator of reunion being in alignment and imminent. You sense your Twin Soul’s presence with you, even if you can’t see them. As if their energy is inside your body or accompanying you wherever you go. This can include feeling like their inner child is with you. Reunion means the two of you have attracted each other back together, so sensing their presence is a clear sign that this is moving closer in the physical. Twin Flame Reunion is all about energy. You’ve heard of “divine timing” – what it means is your own personal energy is in alignment with a certain thing happening. You can feel Divine Timing as a sense of happiness – the feeling of already having attained what you’re hoping for. Having this feeling means it’s imminent. 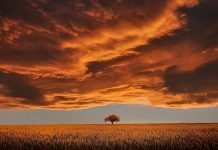 If you’re regularly feeling angry, down, low or hopeless about your Twin Flame connection, this is a sign of resistance – a block to Divine Timing. Lift your vibration into a high vibration of love, happiness and peace to help make Reunion happen faster. Have a look here for a variety of energy clearing sessions that will help you remove what’s been weighing down your vibration and blocking Reunion – opening you up and lifting you into a higher vibration. #10) ARE YOU A MATCH? Reunion is a state of completion, of satisfaction that something amazing has happened, a feeling of relief perhaps, a feeling of joy… Feel inside how you’d feel in Reunion if it had already happened. Now, are you feeling like that regularly lately? If so, that means you’re a match to lasting Reunion with your Twin happening in “real life” very soon. If you’re usually feeling low, on the other hand, you’re currently out of alignment – this means you’ll need to raise your vibration and remove blocks to be a match to it happening. Check inside – what do you unconsciously believe about your Twin Flame and your connection? Are you feeling doubt that it can ever happen? Are you afraid of getting hurt? Are you feeling that you’re not “good enough” and that you might be rejected eventually? If so, these and any other fears and doubts are all blocks to Reuniting because they’re unconscious resistance mechanisms – pushing your Twin away to keep you safe. Clearing these underlying counter-intentions can dramatically open up your path and usher in Reunion with more ease and speed. There are many methods for doing this – meditation, creative visualization, positive affirmations, karma healing and energy clearing are all wonderful methods that can help you lift into being in alignment with Reuniting with your Twin. For clearing blocks and negative counter-intentions permanently, energy clearing is the only thing I’ve seen that actually works long term. If you come together with your Twin from a low vibration, the connection will eventually experience dysfunction. I’m shown that often Twins’ souls do this – bring the pair together intermittently to trigger old wounds so they can surface and hopefully be resolved. Opening up for the harmony that truly can exist between you. Many of the signs of an imminent Reunion are subtle and if you’re habitually busy in your mind with thoughts, stress and worry you are likely to miss what’s going on… For best results, and to help calm yourself and uplift your vibration into love, make sure you meditate regularly – preferably every day. As little as 5 minutes daily makes a big difference. Find a quiet place, relax your body, breathe deeply and let all thoughts go. Focusing on your breath can is powerful if you find it hard to not think. I like using the Buddhist phrase “Om Mani Padme Hum”, which means “The jewel is in the lotus flower” – an inspiration to remember that no matter how much grime and dirt surrounds the lotus flower in its natural environment, when it blooms it is pristine and pure. This is the goal of enlightenment and of Twin Flame Ascension. To be “pure” and light at heart no matter what our surroundings are like. Meditation is scientifically proven to benefit your health and body in measurable ways – including better sleep and slowing down ageing. If you find it hard to focus, try this free guided meditation to start with. Lastly, spirit wanted me to include this. If you feel that Reunion is imminent for you, be careful with sharing this insight with others – even if you understandably feel like shouting it from the rooftops! Because others’ energetic intent can get mixed up in the situation and put the brakes on for you. If someone else’s skepticism, doubt or even envy or jealousy interacts with your impending Reunion, they can impact the energetic alignment, especially if you’re not shielding yourself and clearing your energy regularly. This includes other Twin Flames. For best results with Reunion, focus on your own inner connection instead. Write about your happiness, create something beautiful inspired by it or tell your Twin telepathically how happy you are about it instead! You can also Download Free Energy Clearing Tools, Meditations and a Guide to the Runner/Chaser Paradox here – to begin lifting your vibration and cleansing away negativity right now!